This Umbra Luna Photo Art Display is a fantastic way of showcasing artwork or your favourite photographs. 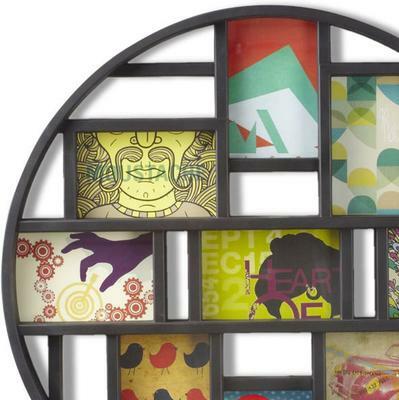 It's perfect for adding some funky colour and design to your space. Dramatic and unlike any other frames you've had before, it has a circular outer frame with a bunch of square and rectangular frames inside. 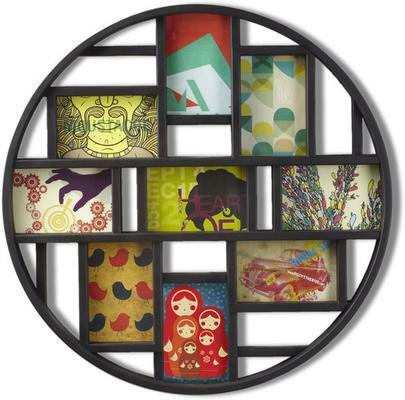 You can add this to your living room, on a bare wall, to better admire the various shapes included in the frame. It's also perfect for the bedroom or even a studio. Apart from photographs, this can also be used as a miniature shelf.